Reformed Christians hold to the doctrines characteristic of all Christians, including the Trinity, the true deity and true humanity of Jesus Christ, the necessity of Jesus’ atonement for sin, the church as a divinely ordained institution, the inspiration of the Bible. The requirement that Christians live moral lives, and the resurrection of the body. They hold other doctrines in common with evangelical Christians, such as justification by faith alone, the need for the new birth, the personal and visible return of Jesus Christ, and the Great Commission. The specifics, the signature beliefs of those who are reformed in their theology, he defined as the commitment to the doctrine of Scripture, the sovereignty of God, the Doctrines of Grace, and the cultural mandate to work to bring people to Jesus Christ the Lord. 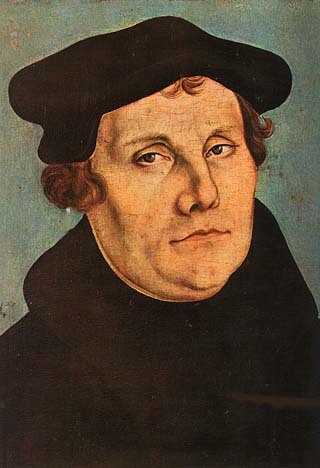 Many others have rightly summarized the great truths and foundation of the reformation as the Five Solas. Sola, the Latin word for alone, is a distinctive term in Reformed Theology. Our ministry, in the reformed tradition, agrees with Boice and readily identifies our belief in the doctrines of grace and the five solas of the reformation. So let us take a look now throughout the coming weeks at these Five Solas. What are the Five Solas? How do we relate to them today? How are we actively carrying on in the spirit of the reformation? Answering these questions will tell us where the reformation is today. The Holy Scripture is the only sufficient, certain, and infallible rule of all saving knowledge, faith, and obedience. Although the light of nature and the works of creation and providence manifest the goodness, wisdom, and power of God so much that man is left without any excuse, they are not sufficient to provide that knowledge of God and His will which is necessary for salvation. The law of the Lord is perfect;” by which he means not merely the law of Moses but the doctrine of God, the whole run and rule of sacred Writ. The doctrine revealed by God he declares to be perfect, and yet David had but a very small part of the Scriptures, and if a fragment, and that the darkest and most historical portion, be perfect, what must the entire volume be? How more than perfect is the book which contains the clearest possible display of divine love, and gives us an open vision of redeeming grace. The gospel is a complete scheme or law of gracious salvation, presenting to the needy sinner everything that his terrible necessities can possibly demand. There are no redundancies and no omissions in the Word of God, and in the plan of grace; why then do men try to paint this lily and gild this refined gold? The gospel is perfect in all its parts, and perfect as a whole: it is a crime to add to it, treason to alter it, and felony to take from it. Sola Scriptura: The Erosion of Authority. Scripture alone is the inerrant rule of the church’s life, but the evangelical church today has separated Scripture from its authoritative function. In practice, the church is guided, far too often, by the culture. Therapeutic technique, marketing strategies, and the beat of the entertainment world often have far more to say about what the church wants, how it functions and what it offers, than does the Word of God. Pastors have neglected their rightful oversight of worship, including the doctrinal content of the music. As biblical authority has been abandoned in practice, as its truths have faded from Christian consciousness, and as its doctrines have lost their saliency, the church has been increasingly emptied of its integrity, moral authority and direction. 2 Timothy 3:16-17 – All Scripture is given by inspiration of God, and is profitable for doctrine, for reproof, for correction, for instruction in righteousness, that the man of God may be complete, thoroughly equipped for every good work. Proverbs 30:5-6 – Every word of God is pure; He is a shield to those who put their trust in Him. Do not add to His words, lest He rebuke you, and you be found a liar.